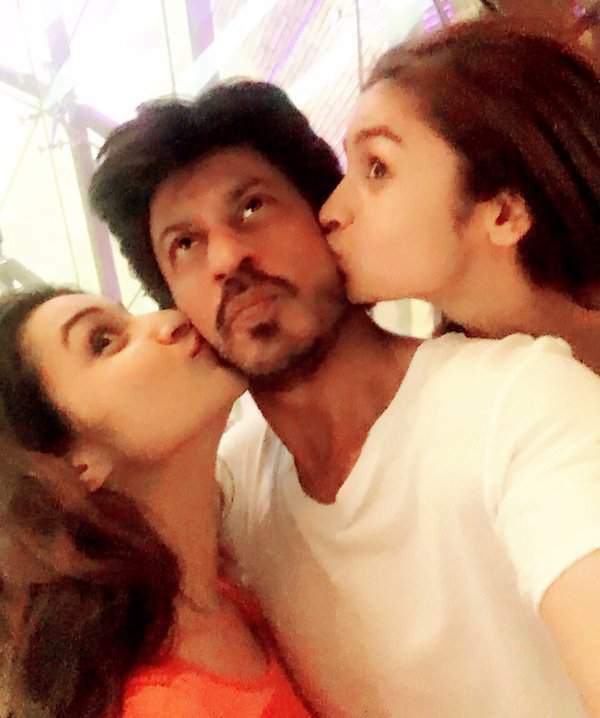 Parineeti Chopra and Alia Bhatt Suprised Shahrukh Khan (SRK): King Khan Shah Rukh Khan recently crossed his fifties, and he is still the most romantic actor on Indian screen. He has been entertaining the audience with his outstanding performance in his movies. He has been completely out of the commercial track with his recent films like Happy New Year and Dilwale. Aryan Khanna is a Superstar in Bollywood and Gaurav Chandana is a diehard fan of the Superstar in the film. Fan has been made on a massive budget of Rs 80 crores and the movie released across the world on April 15th in over 4600 screens. Shahrukh Khan still has terrific fan base across the world and in particular among the girls. Many girls go gaga over the Superstar and the actor even revealed that he prefers to do romantic films for his female fan base. The latest incident will leave everyone in deep shock. Young actresses Parineeti Chopra and Alia Bhatt made their entry and met the Bollywood’s hottest actor recently. They had not much time to make a loud noise as they met the little Superstar Abram. As soon as Abram slept, the actresses kissed Shahrukh Khan hard on his cheeks from both the sides. They even went on to post the picture on their official social networking page which created a huge sensation all over. This picture has created huge sensation across the social networking circles. Parineeti wrote “AbRam’s asleep. So have to shower all the love here 🙂 THE MAN!” and for Alia sabkuch udta hai. Shah Rukh Khan has been completely surprised by the gesture of the actresses and the love they have shown to him. Parineeti and Alia have been completely impressed with the movie, and they left the actor in praises. Fan released all over and is running to packed houses all over. Shah Rukh Khan’s performance in the film has been widely praised all over. Yash Raj Films produced Fan.